This was a spur of the moment craft. We were going to make a lady bug but at the last minute my son said “I know! Ubb-marine.” So after I drew a few funny looking things I came up with this. Because it was last minute we only have one book today. If you have a great submarine book please leave the title in the comments for everyone to check out! Gather your materials. 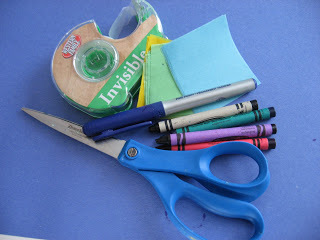 You will need a piece of construction paper, some crayons, a marker, scissors, tape and tissue paper. 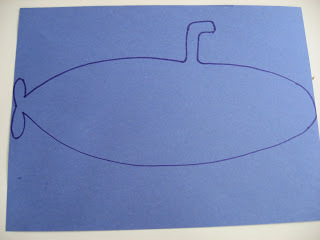 Start by drawing a basic submarine. 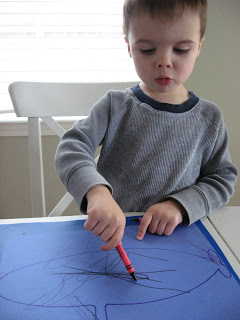 Hand it to your little sailor and have them color it to their hearts content! 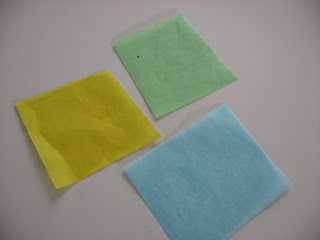 While they do that cut the tissue paper into small squares. Fold in half and cut circles on the fold. I asked my son how many he wanted. Older kids can do this step independently. Flip over and add the tissue paper. Tape right over it all. I did this step, but handed my son some tape to tape some scrap paper and you’d think I gave him a huge bowl of ice cream he was so excited. So even though I was taping our project he was still participating. 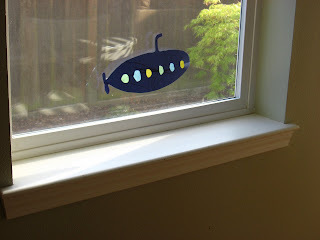 Pop it up in your window and let the sun shine through the portholes! 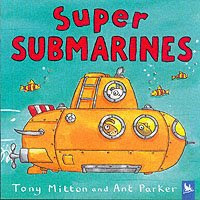 Super Submarines (Amazing Machines) by Tony Mitton and Ant Parker has been on my son’s dresser next to his bed for months. It gets read all the time. 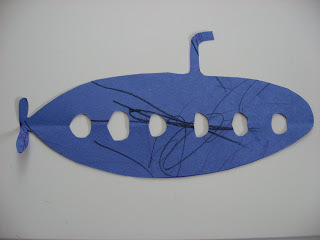 It’s the reason my son knows what a submarine is, and can say periscope. 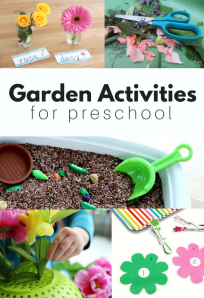 The text is fun and has great rhymes, the pages are filled with information presented in a fun way. I am in awe of the author and illustrator for being able to help me teach my 2 year old about sonar, propellers and submersibles! I admit I have learned a lot from this little book! Thank you for the book! Maddie’s dad is s sub guy and we are always looking for good books to show her where daddy lives when he is not home with us. The craft is super cute too! 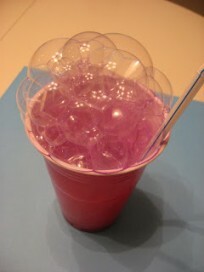 We just may have to make one on our rainy day today. Thanks! 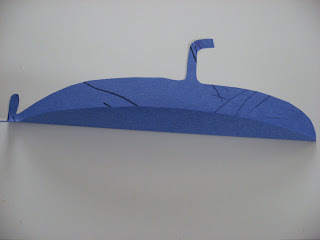 i love those series of books so im going to have to do that craft next time we read it!!! 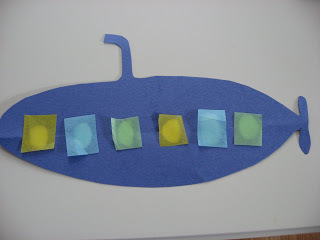 Cute craft, and the book sounds great too! Oh, wow! Neat project. You are soo good!!! Are all these original? I am so impressed. We did the pizza project today!! Amanda we live near a sub base so we’ve been to check them out and this craft was past due! T- most of my activities are my own, adapted old classics or I link where I got the idea. I try to use my own ideas as much as possible, that is my favorite part of blogging seeing people love what we do. It’s exhilarating. This is my creative outlet! Oh, we are going to have to try this one! Ubb-marine-I love it! I’ll be linking. Thanks for the idea. 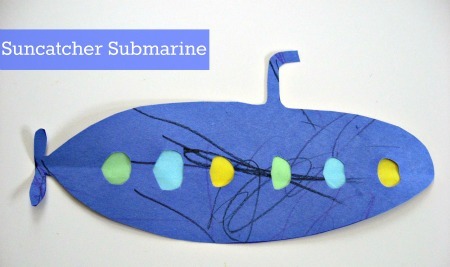 My daughter is obsessed with submarines, so we had a fun time doing this today.